My sister Lynn's. 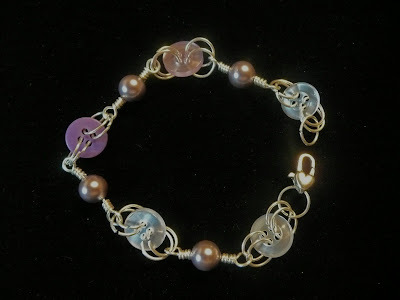 The pearls are a lovely purpley mauve color although it's had to tell with this picture. I am thinking this one needs something else, but my sister will let me know if she wants something different! I aim to please her! She is one of my biggest fans! 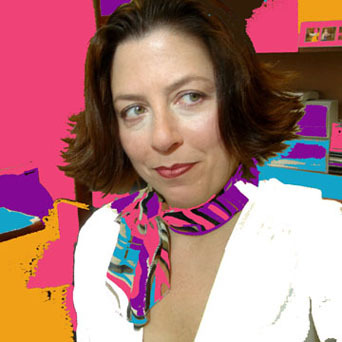 Then this one is for Kerri P., She wanted earthy tones. I hope this is ok Kerri...let me know if I should try different colors. 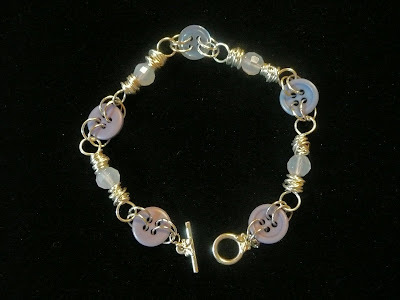 and then this one I made for me...which are blues but looks almost purple in the pic. 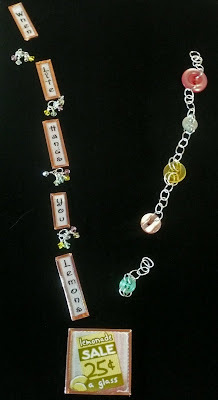 Then I starting working on a necklace titled "Lemonade" It will be sooooooo cute when I am done! Here are the beginnings of it. I just didn't feel like soldering tonight as I am tired. So off to bed I go. I will be posting my self challenge art tomorrow. It's not anything big but it was a start! Hi Cindy, I am soooo excited about my bracelet. I LOVE it!!!! You need to give me your ring size(s) and address so I can make some rings for you - let me know if you have color choices too - I can do blues to match your bracelet if you'd like. Thanks again!!!! 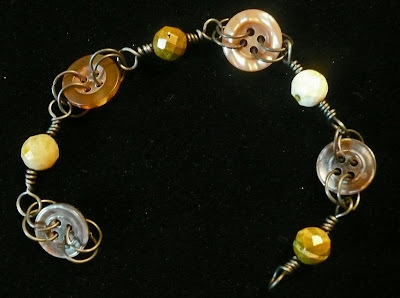 Those button bracelets are a great idea, so cute!